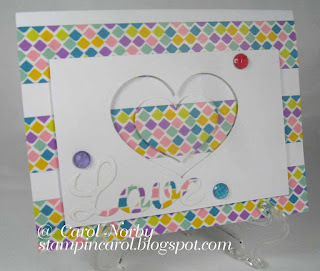 I seen another fun card on Pinterest and I was off and running. The fun pin came from this BLOG but I didn't look for the exact post. 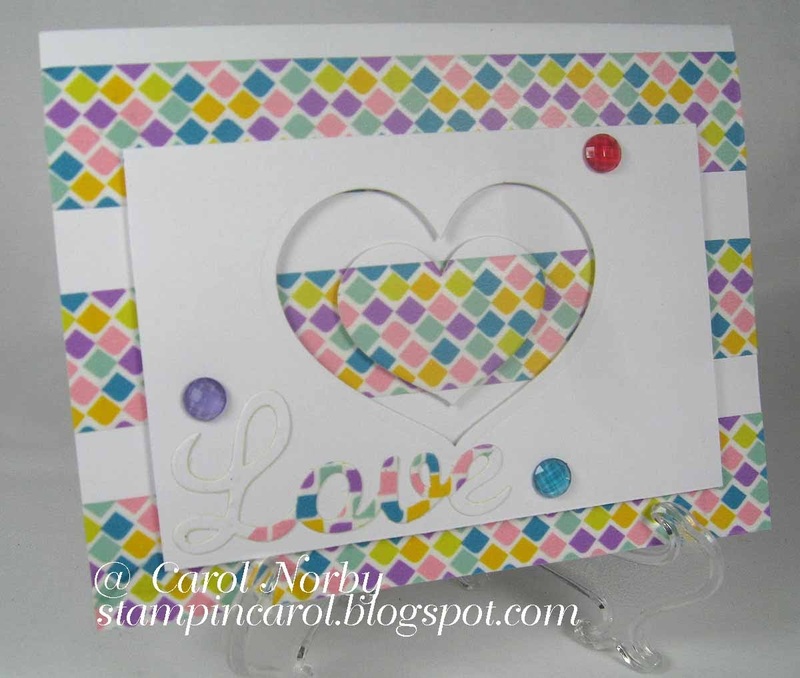 No stamps were inked in making this card. 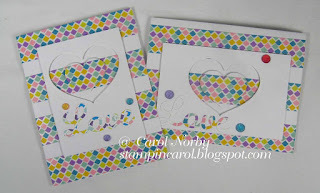 I used the Sweet Tape from the Yummy & Delicious collection but cut it in half to 1" wide. 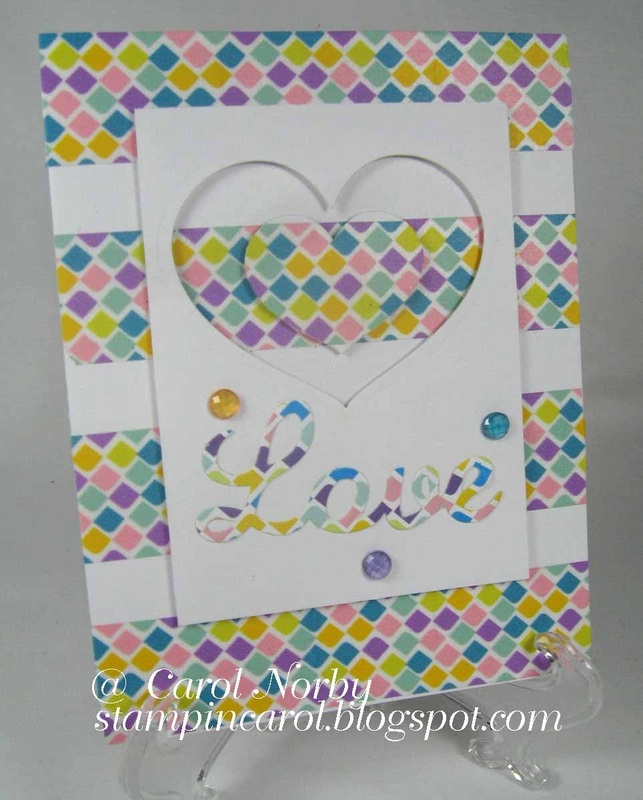 The fun Love was also die cut using the Snapshot Frames die set and paper from the retiring Yummy Prints paper pack. 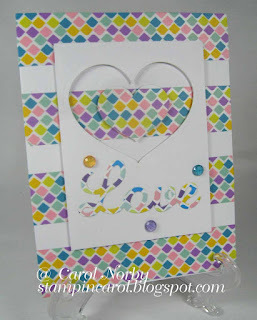 I used some fun pieces from the Rainbow Drops to embellish. 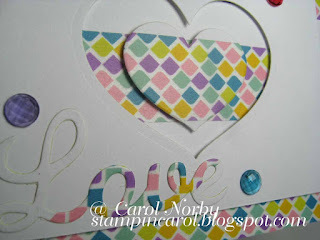 I used the Sweet Tape on a piece of Whip Cream card stock before die cutting the Love for this card. Here you can see the inner heart better. 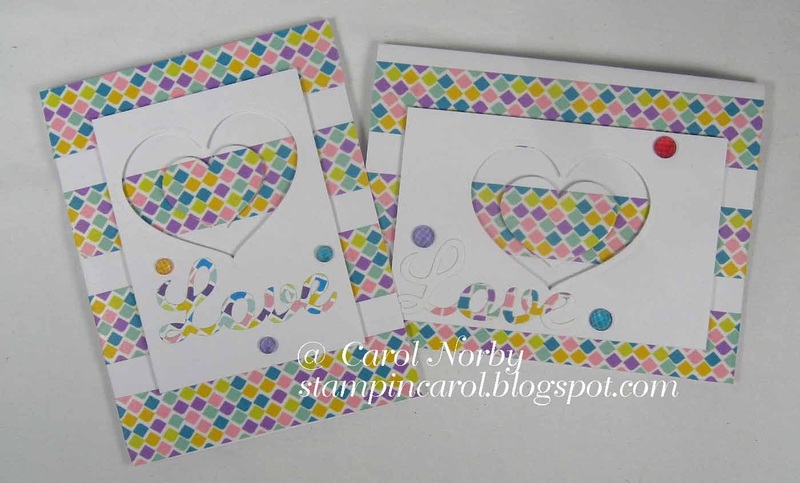 I'll be using these cards for Mother's Day for our kids. I didn't use a lot of product but I think the cards are very cool. Lately my theme has been "if you pin it, do it". This is really nice. I have the washi tape. Now to order the heart dies. Forgot to ask, how did you cut the Washi Tape? Did you apply it to card stock and then cut with a paper cutter? A very cheerful design. Not difficult and eye catching.